Could Biden's barnstorm through vulnerable districts be a test of things to come in 2020? As he introduced one of the youngest Democrats running for Congress to a crowd of more than 1,000 Iowans earlier this week, the power of the popular former Vice President Joe Biden's support among his party's base in a vulnerable district was on full display – a foreshadowing, in some ways of the 2020 speculation that will kick into overdrive on Wednesday. “Folks, my name is Joe Biden and I’m here because my friend Abby Finkenauer asked me to be here. She’s the best,” Biden said to a crowd of more than 1,000 people Tuesday night. 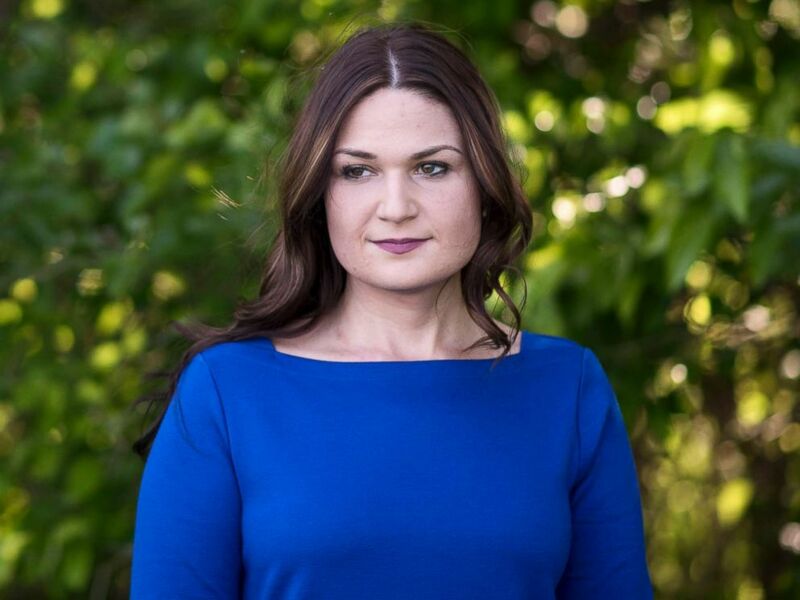 Finkenauer, 29, is a two-term State Representative running against two-term Republican incumbent Rep. Rod Blum and is hoping that Democratic enthusiasm and the district’s purple past could help her flip Iowa’s 1st Congressional District. Biden made a campaign swing through the Midwest. He held rallies in Ohio. Wisconsin, along with his visit to Iowa, with scheduled stops in Illinois, Missouri, North Dakota and Michigan before the week was over. With Election Day less than a week away, Democrats are hoping to turn vulnerable districts in the House in their direction, including in Iowa’s 1st Congressional District, where Biden appeared on behalf of Finkenauer. Finkenauer previously served as coordinator of volunteers for Biden’s 2007 Iowa Caucus campaign. Both talk about their shared background coming from working-class families and both are hoping to convince working-class voters that the Democratic Party can deliver for them. Finkenauer has campaigned largely on her background, touting an ‘Iowa tough’ attitude as the daughter of a union pipefitter and welder, and someone who understands what families in the district face from her own upbringing. Democratic candidate Abby Finkenauer stands for a portrait in Dubuque, Iowa on June 4, 2018. ‘She comes from really good stock. But I tell you what, she’s tough, she’s honorable, she’s serious, and she’s thoroughly authentic,” Biden said. Biden, now 75, pointed to the fact that Finkenauer--one of the youngest candidates running in 2018 – is the same age he was when he first won his seat in the Senate. “I wondered why anyone would vote for me as a 29-year-old kid for the United States Senate to win, and watching Abby, I know why they’re going to vote for her,” Biden said. At 29, Finkenauer would be the first congresswoman from Iowa’s 1st Congressional District and would be one of the youngest women elected to Congress, alongside Alexandria Ocasio-Cortez in New York. At the rally Tuesday night, Finkenauer recalled the fight in the Iowa State House to preserve bargaining rights for union members – an effort that failed in February of 2017 – as her inspiration for taking on a Congressional run. “I saw the faces of those Iowans and they had tears in their eyes and so did I. And I vowed to myself in that moment this is not how we treat people in my state or in my country, and I was going to do whatever I could to get it back. So, friends, I decided to run for Congress because this is personal,” Finkenauer said. Sandy Hughes, who attended the rally, said that vote is part of the reason she’s voting for Finkenauer in 2018. With less than a week to go in the 2018 midterm elections, Democrats are hopeful that the district could be one that they flip in their favor November 6th. Iowa’s 1st district, comprised of 20 counties in the Northeast corner of the state, has had purple past. Former President Barack Obama won every county in the district in the 2008 presidential election and 17 counties in 2012. But that all changed in 2016, with Trump carrying 18 counties -- flipping 15 that had supported Obama in 2012. Though polling has been limited for the race, FiveThirtyEight’s House Forecast gives Finkenauer a 19 in 20 chances of winning -- a 95% chance. Finkenauer has also outraised and outspent Blum in the race. According to data from the Federal Election Commission, as of October 17th Finkenauer had raised $3.9 million and spent $3.3 million, while Blum raised $2.5 Million, spending $1.5 Million. But Blum has been outspent and out-fundraised before, and the campaign, citing internal and external polls, says they’ve seen a rally in the last weeks before the election that shows the race isn’t over. “We are proud that, despite being outspent nearly 6 to 1, Iowa voters are not for sale to the millions of dollars pouring in from Hollywood and San Francisco to run attack ads against Rep. Blum,” said Blum Campaign Spokesperson Alexah Rogue. And some Republicans view Biden’s visit as a sign that the race is not as safe as Democrats would like a week before Election Day, as Iowa Republican Party Spokesperson Jesse Dougherty told ABC News. "Joe Biden's visit a week before Election Day isn't a victory lap for Democrats - it's a rescue mission because Fred Hubbell and Abby Finkenauer's message of raising taxes isn’t resonating with Iowans,” Dougherty said. “Even after outspending Republicans in nearly every race, Democrats haven't been able to break away and now they need Joe Biden to step in to save their losing message." Finkenauer’s campaign brushed off the idea, saying the Vice President’s stop to campaign for his friends isn’t a sign of trouble—just the campaign keeping their energy up in the last week of the election. “We’re really excited to have him here. Everyone in the room here indicates the excitement about having him here, and it’s a fun event that’s going to reflect the energy on the ground that we’re seeing every day,” said Kate Waters, a spokesperson for the Finkenauer campaign. Biden in Iowa—Preview of 2020? Biden’s visit to Iowa also raises questions about his futures plans—and a possible 2020 run. Margery Tully came to the rally in her “Biden for President” shirt—a souvenir from Biden’s 2008 presidential bid. Tully said that she would like to see a fourth run by Biden for the presidency. Aides to Biden had previously said that Iowa would likely not be on the Vice President’s midterm travel schedule because of the hype a Biden visit to Iowa would draw. Despite crowds chanting ‘Run Joe run!’ while on the trail, Biden hasn’t revealed his plans beyond 2020. Biden has previously said that he will make his decision on a presidential bid by January, but made no direct reference to the possibility in the state that holds the first presidential contest in the country. Though not a candidate ‘at this point,’ Biden has cultivated a campaign message centered on fighting for the middle class, which could be crucial to winning back blue-collar Democrats who voted for President Trump in 2016. But while some attendees came out to the rally to see the former Vice President, that doesn’t mean he can definitely count on their vote if he does run. 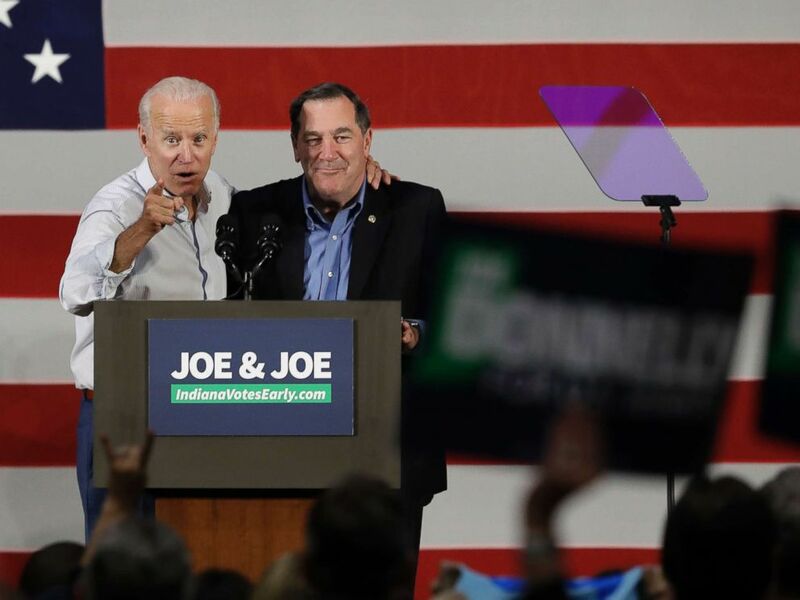 Bobbi Janssen and Chloe Howe—who made t-shirts especially for the event referencing Biden’s appearance on the NBC comedy ‘Parks and Recreation,’ both said that while Biden was a ‘delight,’ they weren’t prepared to commit to supporting Biden in 2020. “I think we’re focusing on our midterm elections, and then we’ll go from there,” Howe said. Could Biden's barnstorm through vulnerable districts be a test of things to come?